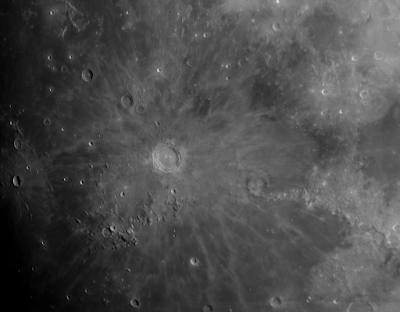 A Skymax 127 Maksutov was mounted on an iOptron Cube Pro, AZ, GOTO mount. A Lucky Zoom microscope camera was fitted with a Moon filter and placed at the focus of the scope. 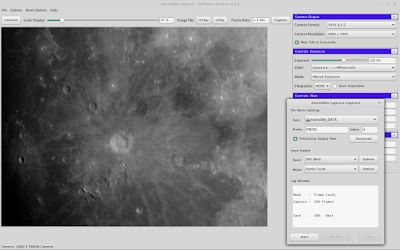 A 200 frame SER file was captured using AstroDMx Capture for Linux on a Linux Mint laptop. 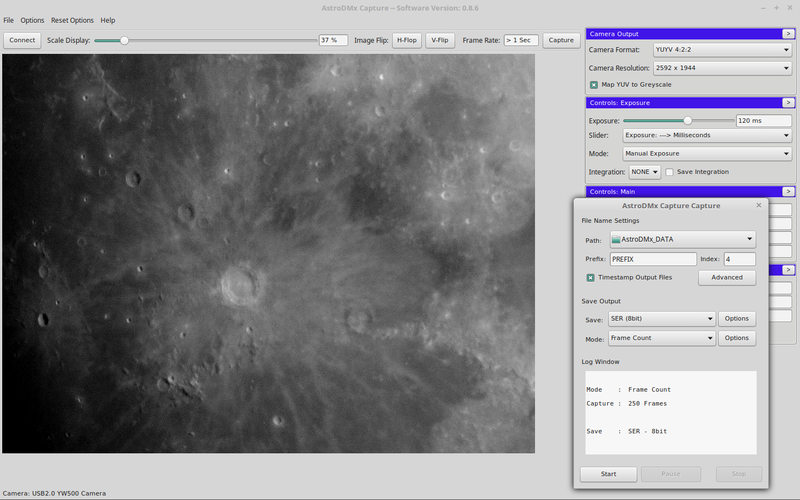 The SER file was stacked in Autostakkert!2 in Wine and the resulting 16 bit TIFF file was wavelet processed in Registax 6 and post processed in the Gimp 2.9. Click on an image to get a closer view.